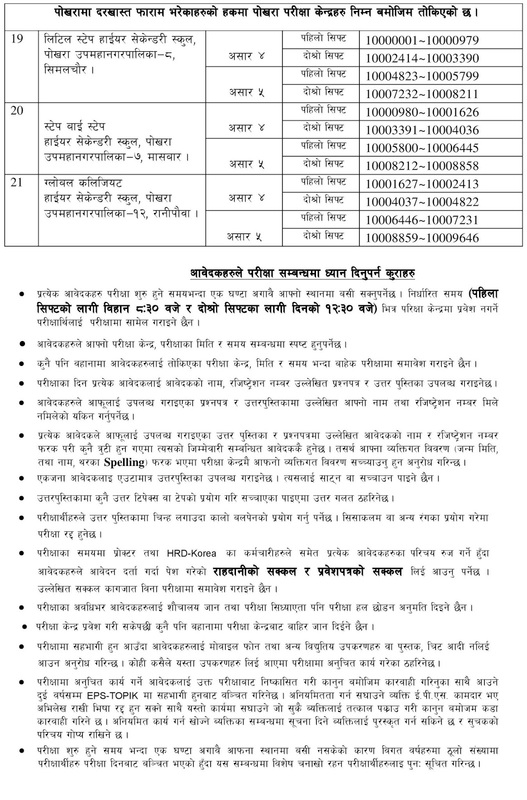 EPS Korea Section has published the exam center and seat plan for 7th EPS-TOPIK for Nepal. 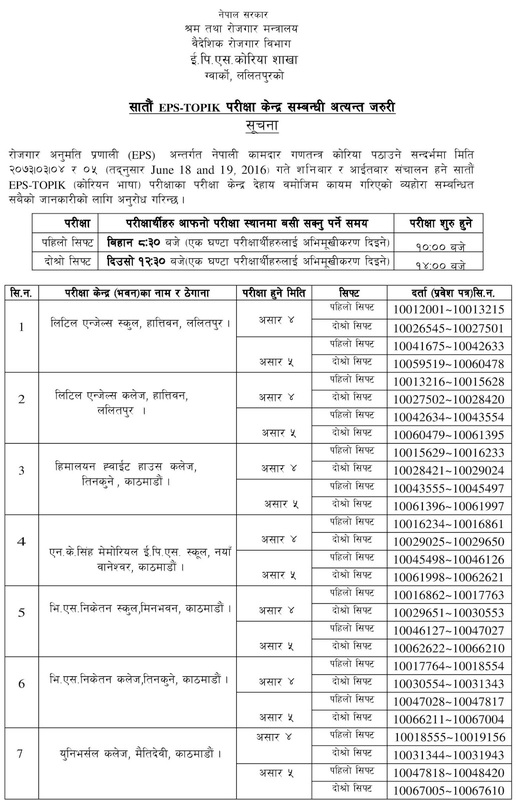 The exam will held on Ashad 4th, 2073 and Ashad 5th 2073. 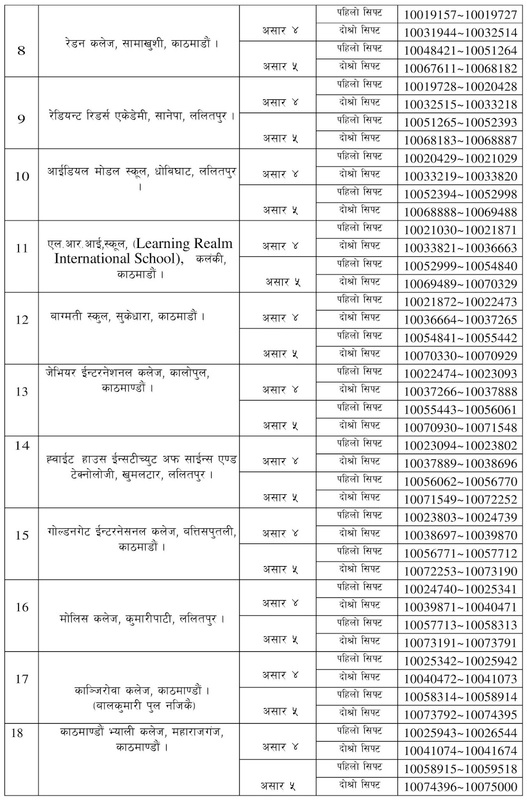 Total 21 exam center are announced, from which 18 exam center are from Lalitpur & Kathmandu combining and remaining 3 exam center are from Pokhara. Exam will held on two shift. First shift exam will start from 8:30 am and second shift exam will start from 12:30 am. Applicant must reach their exam center on time. For first shift they must reach at 8:30 am and for second shift they must reach at 12:30 pm. Applicant must know their exam center, exam date and exam time because there will be no second chance. Applicant are provided Question/Answer Sheet with registration number and applicant name. So they must check the Question/Answer sheet details nicely. Applicant must bring Original Passport and Entrance card with them, if not they are not allowed to sit on the exam. We wish all the applicants "BEST OF LUCK" for the exam.